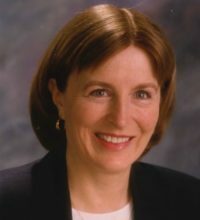 Marie Willke Meyers, M.D. earned her undergraduate degree from St. Mary’s College and her medical degree from the University of Cincinnati. She then did a residency in internal medicine at Good Samaritan Hospital in Cincinnati, becoming the first fourth-generation doctor to graduate from the U.C. College of Medicine and to train at Good Samaritan Hospital. After working several years as a hospitalist, she took a leave from medicine to raise four children along with her husband, Robert, later returning to work as an internist. At present she practices cosmetic dermatology. Her background includes work on President Nixon’s Inaugural Committee and at the White House Press Office during the Nixon and Ford administrations. She was a counsellor at Pregnancy Center West, and served on the boards of Life Issues Institute and currently Cincinnati Right to Life. As the daughter of Dr. and Mrs. J. C. Willke, she grew up helping with all things pro-life, from stuffing envelopes to handing out campaign literature to babysitting so her parents could travel and lecture. As a college student she encouraged them to write their first book, Handbook on Abortion, and typed the manuscript. More recently she helped to co-author and publish their last book, Abortion and the Pro-Life Movement. The Meyers family resides in Cincinnati, Ohio.